I’ve been lucky enough to interview some pretty cool people over the years. 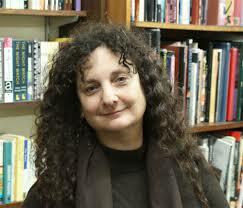 But Ellen Datlow takes “pretty cool” to a whole new level. An editor of short fiction for nearly thirty years, Ellen holds four Hugo awards, ten World Fantasy awards, five Locus awards, three Bram Stoker awards, and I’ll stop there even though I could happily continue to list her achievements for the next hours or so. She’s co-edited twenty one Year’s Best Fantasy and Horror volumes, edited six Best Horror of the Year volumes (through Nightshade Books), and most recently was the editor for Lovecraft’s Monsters and The Cutting Room for Tachyon. To say she is a rock star of the industry is quite the understatement. 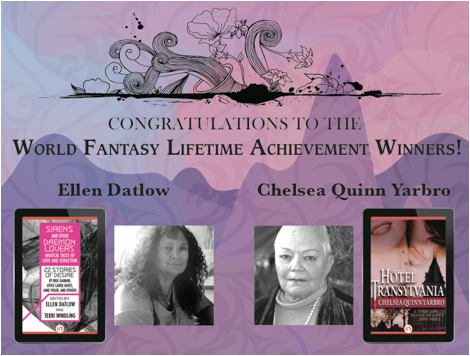 Last weekend at the World Fantasy Convention, Ellen Datlow was awarded the prestigious Lifetime Achievement award, along with Chelsea Quinn Yarbro. I was first introduced to her work through one of many anthologies she co-edited with Terri Windling, Snow White, Blood Red, which has since become a beloved paperback on my bookshelf. That collection would become the first in a series of six, and many of them recently become available as e-books through Open Road Media. If you are interested in fairy tale retellings, dark fantasy, or the short fiction of acclaimed authors such as Joyce Carol Oates, Jane Yolen, Neil Gaiman, Tanith Lee, Charles deLint, Gene Wolfe, Storm Constantine and many others, this is an anthology series you should consider. Ellen was kind enough to answer a few of my questions on her lifetime in the field and the joys and challenges of putting anthologies together. Let’s get to the interview! LRR: I remember reading Snow White, Blood Red in the late 90s, it was a collection my soon-to-be husband and I bonded over. That was your first Fairy Tale anthology with Terri Windling, and it would become a series of six anthologies. When you start a new anthology, how do you know it will be a “one of”, such as Queen Victoria’s Book of Spells or a series, like the Fairy Tale or Best Horror of the Year volumes? ED: That’s really lovely to hear! One rarely knows in advance if an anthology will sell well enough for the publisher to offer a contract for a second, although for a year’s best one always hopes it will become a series as that’s its purpose. Snow White, Blood Red was intended to be a one-shot but it did well enough that our editor commissioned another (or two that time). I don’t think we ever got more than a two-book contract at a time for what became a six book series. It just ended up that way. And by the time the sixth came out the publisher had changed hands (possibly twice) and I was burned out on retold fairy tales — for a time.